Striving to inject her unique flair into the realm of contemporary fiction, Award-Winning, Best-Selling author Ni’cola Mitchell entered the literary scene with one main objective: To Stimulate Your Mind, One Word at a Time. 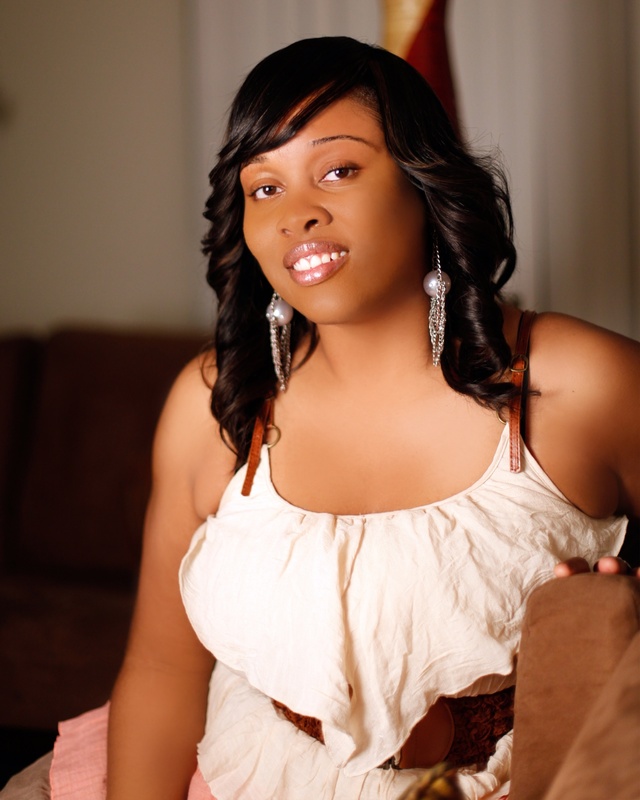 Through her independent publishing company NCM Publishing, Ni’cola published numerous titles which have been featured on various best-selling lists throughout the country. Much of her work revolves around complex relationship issues and Mitchell’s compulsive desire to see women overcome challenges. Over and Over Again was featured in the top ten by EDC Creations Recommended Reading List the 2009 fall season under Mainstream Fiction and Women’s Fiction. Ni’cola was nominated Self-Published Author of the Year with the African-American Literary Award Show for 2010 and 2011. Her short story “The Forbidden Rain” was featured in the Between the Sheets anthology which won 2011 Anthology of the Year with the African-American Literary Award Show. Recently her novel Twisted won 2011 Book of the Year with the African American on the Move Book Club. Because of her outstanding representation of Las Vegas’African American community, Ni’cola Mitchell was featured in the second edition of Who’s Who in Black Las Vegas. Ni’cola was also included in the fourth volume of the I Am Royalty: Profiles in Black History series. She is also a motivational speaker and literary consultant. Currently, she is touring across the country, speaking about the importance of going after your dreams and overcoming obstacles, and how to self-publish your book successfully. When she isn’t writing, Mitchell loves to spend time with her family and volunteers as a mentor for youth activities. Originally from Kingston, Jamaica, she currently resides in North Las Vegas, Nevada with her two daughters Destani and Diamond. Co-Founder of the Baltimore Urban Book Festival, Ni’cola holds a Bachelors degree of Science in Business Management and is currently pursuing a Master’s of Business Administration. 1. Hi Ni’cola, tell us a little bit about yourself and where you are from? 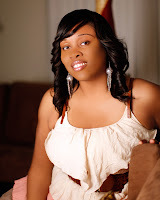 Hello, my name is Ni’cola Mitchell, and I am an author and I run an independent publishing house NCM Publishing. I also co-own Obsessive Soul Media with my best friend and co-author Tamika Newhouse. Originally from Jamaica, I am a proud mother of two beautiful and talented girls Destani Imani 18 and Diamond Lynn 13. Currently we reside in North Las Vegas, Nevada. 2. What books have you read that has influence your writing? 3. What advice will you give inspiring writers? Hmmm… There is a lot of words of wisdom that I can ponder and put together for inspiring writers, but some key points are as follows: to not give up, and try to write every day. I know that this is hard, but that is the only way that you will be able to master your craft. Stand up to the naysayers. Everyone doesn’t wish you well. You have to learn to stay persistent, put God first, and everything else will just fall into place. 4. Are there any upcoming releases that are associated with NCM Publishing that were written by other authors, you will like to tell us about? Well… There are A LOT of releases for 2012. LOL. Two were just released in February: Crime drama, A Little Sumthin’ Sumthin’ by Imani True and Christian Memoir, Voices of Cyn…Traces of a Backslider by Cynthia Evans’ March: Suspense Thriller, A Cold Piece by me, April: Contemporary Fiction, Miles Apart by Tamika Melvin-Williams, May two releases: An anthology, Ebony Chronicles of Elevation featuring a range of male authors: Omar Tyree, Chris Hicks, Moses Miller, Q.B. Wells, Eyone Williams, Corey Barnes, and Norris Pimpton and a poetry book, Whispers of Words Spoken by An Howard. Two releases in June: Self-help Memoir, When is Strong, Strong Enough? By Souraya Christine, and Christian Fiction, A Generation of Curses by Patricia Bridewell and Faatima Albasair-Johnson. In July there will be two releases as well. On National French Fries Day Children’s book, Are There French Fries in Heaven by Kay Gibbie, and Lil’ Creepers Winter Shenanigans by Shawna Carter. 5. Tell us about the upcoming book “A Cold Piece”, I read the excerpt it was quite riveting it captures your attention. I notice a change in direction compared to the 2010 release of “Appetizer”. Is this the first time you are writing a thriller? Well I am really excited about this novel. This one is not like my usual drama filled novel. A Cold Piece is a Suspense Thriller revolving around three main characters: Lisa, Anthony, and Gabrielle. Lisa Oliver was comfortable in her lifestyle. She had everything that one can ask for, anything that money could buy, and a husband that treasured her. Everything changed once Anthony found about some horrible secrets that Lisa was hiding and divorced her. Two years go by, and Anthony remarries Gabrielle, they are happy and settled in their life, until everyone around the happy couple either becomes missing, hurt or dead. This is the first time that I have written a thriller. When someone read any of my titles, you can always expect a drama filled action pact piece, but this is the first time that I wrote a suspense thriller. It is a little different because you have to really get into the mind of that crazy character. You have to make the reader see why they operate in such a manner. 6. If “A Cold Piece” was made into a movie, what are the main actors you would you love to see playing your characters, especially the role of Lisa? Lisa Oliver had it all. A beautiful home, luxury cars, a lavish lifestyle, and a wonderful husband Anthony who loved and adored her until…. That dreaded morning when her perfect life spiraled into extinction, right before her eyes. After hiring a private investigator, Anthony learns about her dark hidden secrets, and comes up with a plan to get away from this evil seductress. Serving her with divorce papers after a passionate morning sexapade, Lisa is on wits end because Anthony would not give her a reason and shut her out of his life completely. Solitude makes Lisa go crazy and is on a rampage to get her man back… at any cost. After two years, Anthony has gone on with his life, but everything changes when everyone around him comes up missing, hurt, or dead. From the pen of award winning, bestselling author Ni’cola Mitchell comes a cold, gritty tale that takes you into the mind of a woman that has lost everything and there is only one to blame. This suspenseful thriller will remind you of a cross between Obsessed, Single White Female and The Hand that Rocks the Cradle. “Gabrielle!” I screamed kicking the door. I could hear her screaming for her life from inside,and there was nothing that I could do about it. My left arm was limp and bloody, and you could still see the smoke coming from the hole that the bullet created. I prayed under my breath, “Dear Lord, please help her. Please let me save her,” as I continued to kick the door. Lisa was at the end of her rope, and there was no point of return. She believed that her life was over, and there was only one person to blame, and that was Gabrielle. My body was weak,and my vision was getting blurry, but I could not give up. Gabrielle was indanger, and I was the cause. That was the worse feeling in the world. Another gunshot blast rung out, Gabrielle yelled out again. Where the hell is the police, I thought to myself; feeling helpless and insecure. Taking in a deep breath, I attempted to regain my composure as I kicked the door hopefully for the last time. Boom! Another gunshot rang out. This time it was not followed by a cry.